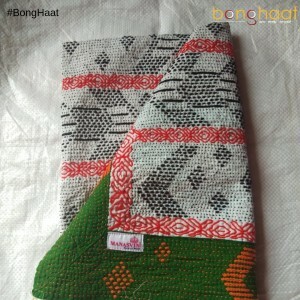 This Hand woven Pure Cotton Bengali Kantha for Babies is made by the artists from the district of Medinipur in West Bengal. 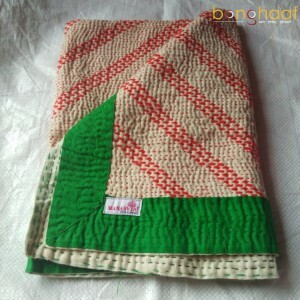 This Pure Cotton Bengali Kantha is made from three pure cotton new Sarees and stitched with woolen threads by hands only. 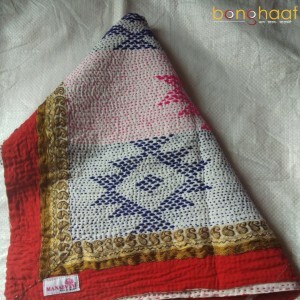 This Pure Cotton Bengali Kantha will be ideal from your babies. 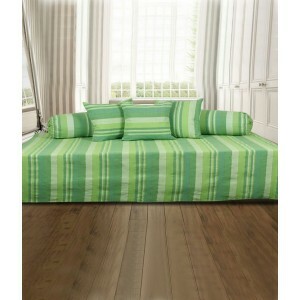 It is said that this Pure Cotton Bengali Kantha will last for at least two generations of usage. 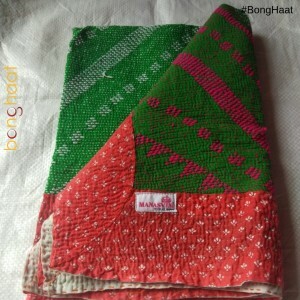 Normal hand wash with sun dry will make this Pure Cotton Bengali Kantha last for longer period of time.